Pierce flexes on his opponents on social media by creating one of the most epic trolls on the Toronto Raptors. 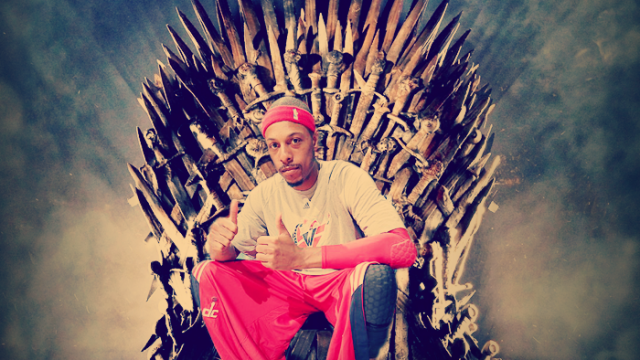 Paul Pierce is back in the news again, this time adding more fuel to the fire from his impressive team sweep over the Toronto Raptors in the 1st round of the NBA Playoffs. “The Truth” took to social media to create hilarious memes on Facebook and Twitter. 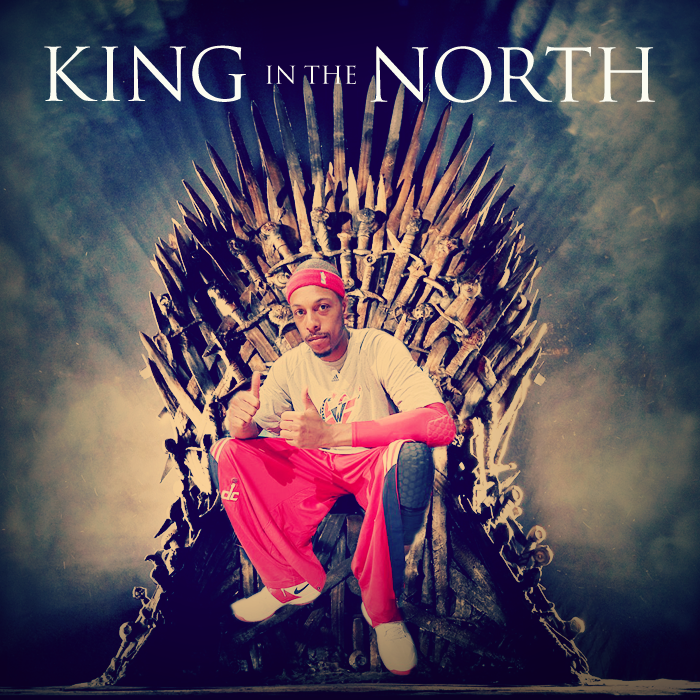 The 37 year-old vet displayed his arsenal of Internet jokes by being the main feature of a photoshopped picture entitled “King In The North“, a comedy parody shot he took from the hit show “Game Of Thrones“. Hours later, Pierce took his comedic talents to Twitter as he was able to successfully have his followers in stitches with his latest “If You’re Reading This, It’s Too Late” troll on the Raptor’s #1 fan, OVO’s own Drake. Paul took the awkward but popular cover of Drake’s latest hit album and was able to connect with a knockout blow to destroy the rapper who throughout Pierce’s recent playoff appearances at Toronto, played the role of annoying heckler. In the battle of Paul Pierce vs Drake, Pierce 2 – Drake 0. Don’t expect a response from the 6 God anytime soon. It’s safe to say him and his woes are still trying to recover from the embarrassing annihilation Pierce and his Wizards handed out to the Raptors. Follow Omari on Twitter/IG (@SmooveGuyO) as he gives his input on many interesting topics from politics, music, NBA playoffs and this funny war of words between Paul and Aubrey.